The idea came to me as I was falling asleep one night. Not really sure how it popped into my head, but knowing I could incorporate our entire family (including the pets) it was a no brainer. I also like to keep things lighthearted, so to know people got a good laugh out of our costumes is what mattered! 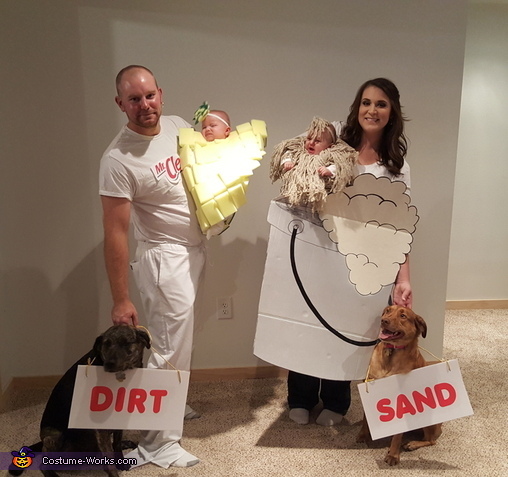 My husband is Mr. Clean, I'm the bucket, our twin girls are the sponge and mop, and our pets, well, they are the messes!